When you find yourself needing any type of urologist service in the Coastal Alabama area, be sure that you talk to your physician about referring you to Gulf Coast Urology. At Gulf Coast Urology, we believe in utilizing the most advanced treatments and technologies so that our patients have the most comfortable and effective experience possible. Remember, for a Southern AL-based team that provides outstanding care for urologic conditions, call on us. When it comes to choosing a urologist, you want a team of health care professionals that you know you can count on. At Gulf Coast Urology in Foley, our team is fully board certified and are highly recommended by their peers in the Coastal AL area medical community. 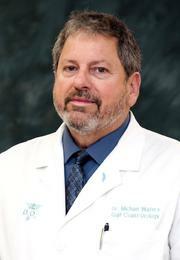 Dr. Michael Waters is a graduate of the Michigan State University College of Osteopathic Medicine and has been a regional specialist in urology for over 20 years. In 2016, he founded UHS Southeast Lithotripsy Solutions in collaboration with AGILITI. Dr. Waters has an old-school approach to medicine and sees all his patients on a “timeline of health”, treating and steering them to autonomy and a healthier lifestyle. Dr. Waters also utilizes state-of-the-art DNA sequencing through Microgen Corp, helping to eradicate chronic and difficult-to-treat infections. Copyright © 2019 Gulf Coast Urology, LLC.